Melon has recently worked with The Little Thatched Company, a new start-up business that specialises in the design and handcraft of exquisite garden buildings. The Little Thatched Company uses only the finest materials and the most highly skilled craftsmen. Each piece is handcrafted using traditional methods in the UK, every building is customised for the customer and even comes with its own certificate of authenticity. Melon provided a complete service to help the company successfully launch in time for the busy summer trading period and country fairs. 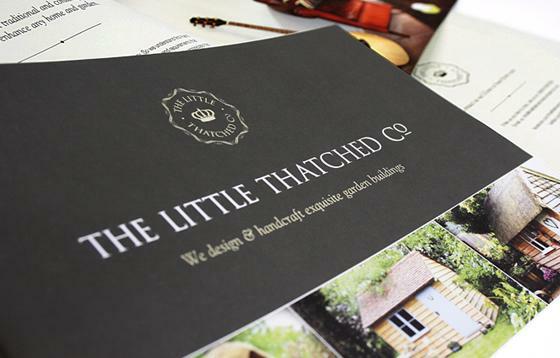 Having worked with the team at The Little Thatched Company to conceive an overall marketing strategy we set about creating a memorable, distinctive logo, an effective website to generate leads and a smart new brochure and POS materials to help drive sales. The new identity reflects The Little Thatched Company’s ‘Made in the UK’ values while still feeling modern and refined.